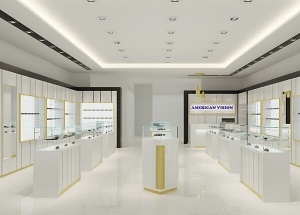 The main color of this large optical shop design is white, the optical shop furniture mainly using wooden optical frame displays with white baking paint finished. 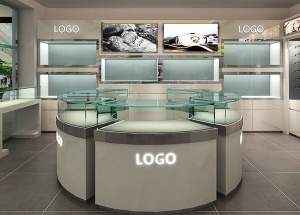 It also has some glass optical showcases. 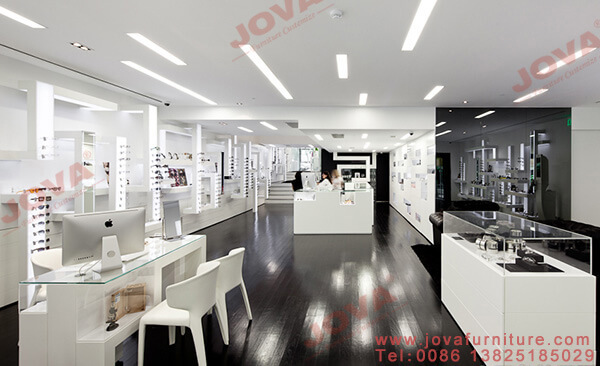 Jovafurniture.com is the optical frame displays manufacturer, offer free eyeglass store design and manufacture the optical displays , welcome to contact us get the best optical shop solution. 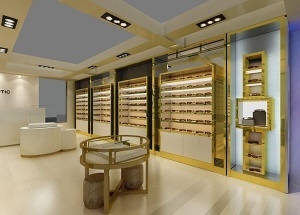 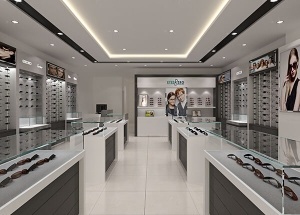 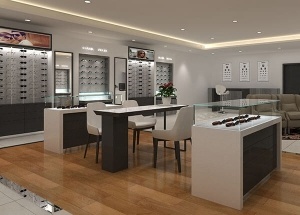 The whole optical shop displays main including: optical wall displays, optical kiosk, wooden and glass optical display showcase, the reception desk furniture, shop counter, chairs, display table. 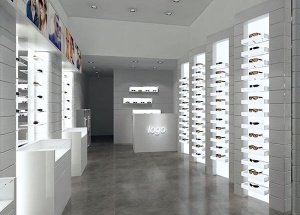 The optical kiosk made with MDF, white baking paint finish, and it put the glass on top . 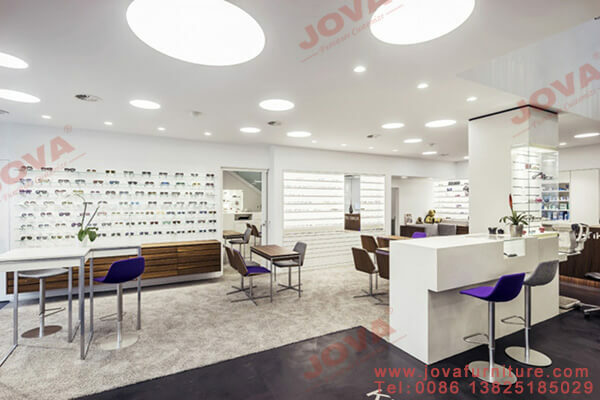 Jova furniture custom made the optical frame display for shops, fit your requirement, we only do high quality shop furniture with very competitive price .